Some business leaders think that building a strong brand is an unnecessary luxury. That it’s enough to focus on tactical marketing initiatives alone, without considering long-term brand building strategies. CEOs like this fail to appreciate the ROI of branding because it’s not always easy to draw a short, straight line between branding and the bottom line. Ignoring branding in favor of marketing may work in short-term, isolated cases, but the fact is every modern company that has driven above-average profitable growth has invested heavily in building their brand. As we often say, your brand is your company’s most valuable asset. Brands are business tools that drive commercial value. A strong brand increases the chances of customers choosing your product or service over your competitor’s. It attracts more customers, at a lower cost per acquisition, who are happy to pay a little more, and will buy a little more often. The backbone of cult-like customer loyalty, a strong brand will deliver more revenue and profit, more efficiently, year after year, generating more shareholder value along the way. A strong brand will also help attract, motivate and retain your second most valuable asset: employees. And it can work as a barrier to entry for future competitors, in effect creating a legal monopoly. The ROI of branding is borne out again and again, in study after study, for B2C and B2B brands alike. Let’s take a look at just a few compelling proof points. In 2017, Ocean Tomo released a study that turned heads. It showed that over the past 40 years, the vast majority of the value of the S&P 500 had transformed from tangible to intangible assets. According to the study, intangible assets had gone from representing 17 percent of the value of the S&P 500 in 1975 to 84 percent of its value in 2015. Think about that. Upwards of 80 percent of the value of what is widely regarded as the best single gauge of large-cap U.S. equities transformed from tangible assets that could be held, weighed, shipped to…what exactly? Jonathan Knowles at Type 2 Consulting took a closer look at Ocean Tomo’s data, applying a more conservative methodology, and still found that brands account for a full 20 percent of the value of the S&P 500. Knowles also segments his findings by industry sector, showing that brand value comprises more than 20 percent of the market capitalization of most industries, ranging upwards of 40 percent for companies in the Consumer Services sector. It’s probably useful here to define just what it is we mean by “brand value.” Knowles defines is as “the proportion of the value of the company [that] reflects the differences in behavior by customers, employees and other key stakeholders (including investors) from the awareness and positive associations that the company enjoys.” It’s a bit of a mouthful but it does the job. The idea is that since a company’s brand is how that company is perceived by its stakeholders, the value of its brand is the percentage of its value tied to the behaviors dictated by those perceptions. It’s one thing to understand the economic value of brands in the marketplace; it’s quite another to capitalize on that understanding by investing in branding. The ROI of branding is best evinced by the fact that the strongest and most relevant brands consistently outperform every market index. Meaningful: They appeal more, generate greater “love” and meet the individual’s expectations and needs. Different: They are unique in a positive way and “set the trends”, staying ahead of the curve for the benefit of the consumer. Salient: They come spontaneously to mind as the brand of choice for key needs. 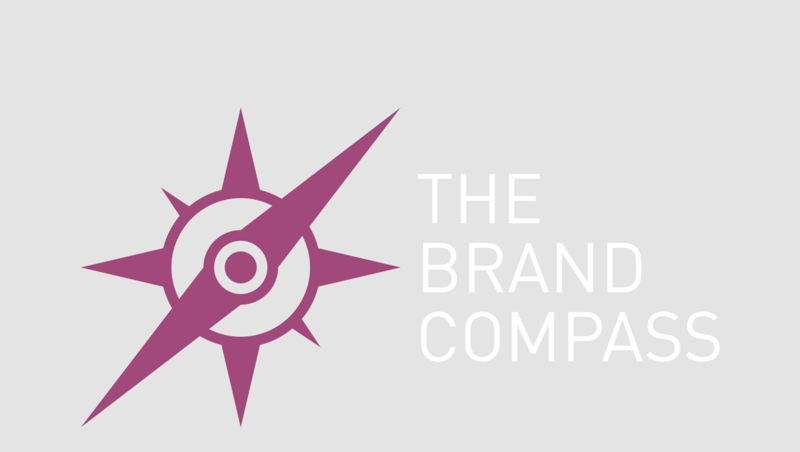 Milward Brown’s BrandZ™ valuation tool measures the world’s top brands, isolating the value generated by the strength of the brand alone in the minds of customers. In a performance similar to that of Interbrand’s Best Global Brand’s, the value of the BrandZ Strong & Innovative Brands Top 20 Portfolio increased 226 percent between 2006 and 2018, compared to just a 50 percent increase of the MSCI World Index. Customer Obsessed: Brands that invest in, create, and bring to market is designed to meet important needs in people’s lives. Ruthlessly Pragmatic: Brands that make sure their products are available where and when customers need them, deliver consistent experiences, and make life easier for their customers. Distinctively Inspired: Brands that make emotional connections, earn trust, and often exist to fulfill a larger purpose. Pervasively Innovative: Brands that don’t rest on their laurels, but rather push the status quo, engage with customers in creative ways, and find new ways to address unmet needs. According to Prophet’s Associate Partner Jesse Purewal, the revenue growth of the world’s most relevant brands has outperformed the S&P 500 average by 28% over the last decade. Just more evidence that no matter how you slice it, the strongest and most relevant brands will always outperform those who fail to prioritize branding as an investment. Power: A prediction of the volume share a brand can command based on consumer predisposition to choose the brand over others. Premium: A prediction of the price index a brand can support based on consumer predisposition to pay more for that brand than for others in the category. According to Millward Brown, these findings are “all the more remarkable when you consider that consumers do not set the price for their purchases; it is the brand owners and retailers that do that.” Remember, Millward Brand defines a strong brand as one that is meaningful, different and salient. It turns out that consumers will pay the price that reflects how meaningful, different and salient a brand is in their eyes. An important characteristic of the price premium that strong brands command is that it isn’t typically the result of short-term marketing efforts. One of the main reasons some CEOs fail to appreciate the ROI of branding is that brand value accrues over a longer period of time than the value generated by marketing-driven sales activation. If you look at periods over six months, brand-building activity drives significantly stronger sales growth than the temporary uplifts caused by short-term marketing initiatives. The effects of short-term activation are easier to measure and attribute, because they are typically immediate, direct and significant. Over short-term spans less than six months, activation efforts will produce much larger sales responses than incremental branding initiatives. These effects, however, also quickly decay after the activation is complete. And they don’t tend to build momentum over time. The result is a series of sales spikes with limited uplift that immediately fade back to baseline levels. Whether you’re talking about a brand refresh or a full rebrand, branding initiatives are different. The effects on sales are harder to measure in the short term because they are smaller in comparison to marketing initiatives. This makes the link between branding and sales more difficult to establish. Branding’s return on investment, however, has a cumulative effect, building on ever-increasing levels of brand awareness that decay more slowly over time. In the long run, brand-building is a better driver of sales growth than repeated marketing activation initiatives. Some CEOs simply fail to appreciate the long game that is central to branding’s ROI. They are smitten with the immediate attribution of marketing activation. The result is what many have dubbed short-termism, a dangerous mindset that leads to over-investment in inefficient activation and under-investment in the cumulative power of branding. The reality is when you look at the total impact of branding on sales, only 18 percent is measurable by online attribution, according to a 2018 study called Profit Ability. A balanced approach leverages both short-term marketing and long-term branding initiatives. The comprehensive report titled “Media in Focus” shows that optimal effectiveness is achieved when about 60 percent of a company’s marketing budget is devoted to brand building, and around 40 percent to marketing activation. Investing less than 60 percent in branding precludes the accumulation of the requisite brand equity for future sales growth. For CMOs, being able to construct a compelling business case for branding ROI is more important now than ever. CMOs should be prepared to counter the default focus of CEOs and CFOs on tactical marketing strategy (short-termism) with a convincing case for the long-term return on investment in brand building. According to Edelman Trust Barometer respondents, a CEO’s number-one task is ensuring their company is trusted. Trustworthiness is a function of perception and perceptions are shaped by branding. So if you’re a CEO, your customers believe your top priority should be branding. Making branding your top priority means taking the time to focus on what drives customers to make the decisions they do. It’s one thing to understand your competitive advantage over other brands in your industry. It’s another to have a calculated brand strategy to influence customer choice and drive long-term business value by leveraging the ROI of branding. In focusing on the importance of its brand over other factors, Starbucks made $5 an acceptable price premium for a cup of coffee. According to Interbrand, companies that focused on the importance of their brand over the past five years saw the value of their brands grow 2.4 times higher than those who didn’t. Psychology has shown that customers perceive the same type of personality traits in brands that they do in other people. Effective branding capitalizes on this, creating strong, lasting, and meaningful connections with audiences. It enables you to define the emotional experience you want stakeholders to have each time they come in contact with your company. Done properly, investing in branding builds loyalty, preference and transforms companies from commodities to experiences. This is why branding is one of the most important investments a company can make. People will always pay more and travel farther to remain loyal to a brand they know and love. Why? Because of the positive, consistent emotional experience they get from interacting with it. The best brands are as reliable as old friends. Starbucks customers are willing to wait in longer lines and pay more for a mediocre cup of coffee. They do these things because of the emotional experience of going to a Starbucks. For nearly 20 years, people in the business world have been saying “nobody gets fired for buying IBM.” Why? Because of IBM’s steadfast brand and reputation. IBM’s brand is still so strong that decision makers can’t be blamed for choosing it over its competitors–even if a system they opted for fails. This is the impact of strong, well-developed brands in any industry, B2C or B2B, and the most obvious evidence of the ROI of branding. While it’s not as easy to measure as a digital marketing campaign, strategic investment in your brand provides a stable, long-term ROI. This article was in part inspired by Tom Roach’s open letter to CMOs. Solid evidence to support the significant ROI of branding has only continued to mount since that seminal post. The fact is few marketers would question the value of a strong brand. The strength and valuation of iconic companies like Starbucks and IBM are evidence of the importance of brand as part of a company’s offering. The bottom line is that investing in ongoing brand building will help your company grow its bottom line. Measuring the impact simply requires patience and a willingness to reconsider the importance of immediate attribution metrics.